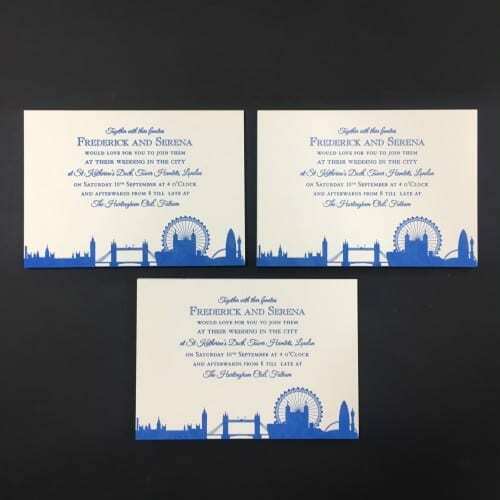 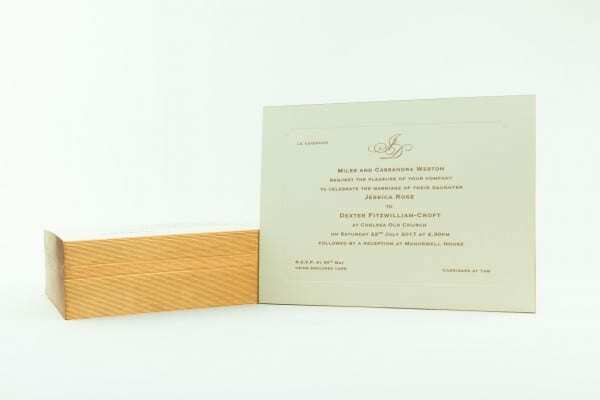 The Chiltern invitation is one of our favourites. 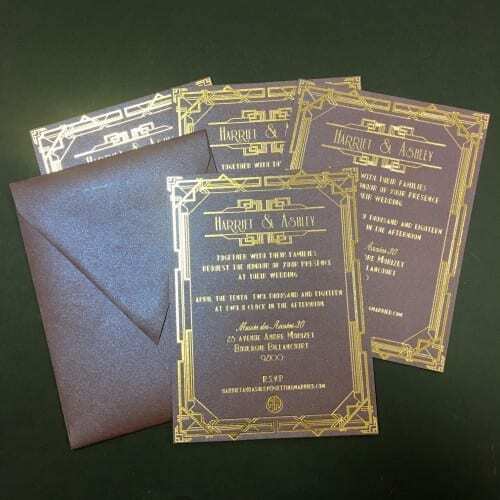 Printed on a 700gsm textured pastel coloured board, receiving one of these cards in the post will definitely set the standard for a beautiful wedding with your guests. 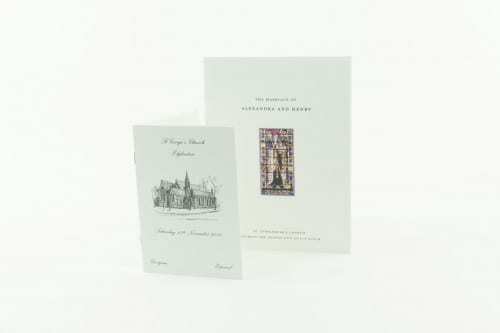 The card is embossed with Leeming Brothers own cut corner plate sunk panel before being engraved in a luxurious rose gold. 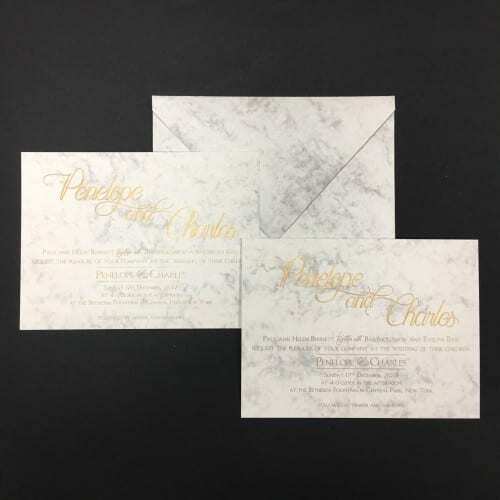 This invitation can personalised with a monogram and can also have matching hand bevelled gilt edges and has even been featured in Vogue magazine.